Need a suggestion for a quick meal? Salmon burgers. The meal was quick, simple, and tasty. Since our grill is at minimum usage this time of year, we threw the burgers in the oven to get a good cook. We then finished them off with a quick broil to get a good seal on the fish. Since the burgers were pre-made, there was not much else to be done. 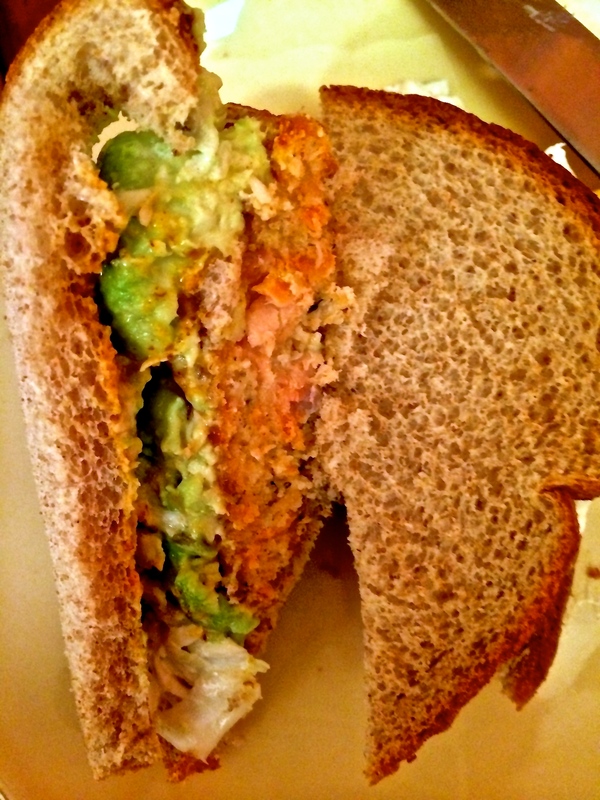 We cut up an avocado, (a nice second to mangoes on my list of favorite foods,) and took out some cole slaw. I went simple with the bread and just stuck the burger between two pieces of classic whole wheat. For the final step I put on El Diablo hot and spicy mango mustard. (Starting to see the mango theme here?) The burger was simply delicious.